Nano IT is a professional eCommerce and software development company in Bangladesh providing a range of affordable custom website design, inexpensive e-commerce web site design services to clients across the world. Nano IT World is a professional website design and software development company in Bangladesh with a good reputation, and open skill-set. We regularly deliver creative, effective web designs and solutions that show the qualities, needs, and vision of our clients. Our goal is the success of our client’s online and offline branding, communications and marketing strategy. We are here to give new face to your business through the power of IT solutions that include a wide range of web designing and development, eCommerce development, mobile application development and enterprise development service. Our developers through intelligent methods and innovative technologies to translate the idea into reality. Our highly qualified engineers, programmers, web and IT experts team assists you with effective technology needs throughout planning, designing, developing and deployment stage. 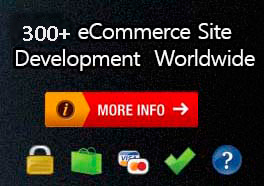 We have been developing web, eCommerce,software and mobile app solutions for our reputed clients since 2009. Working hard and building innovative ideas is in our DNA, and we are here to provide you exceptional well solution as per your business needs. We are experienced eCommerce,mobile apps and web Development Company, known for offering eCommerce, open source, social media and web solutions.